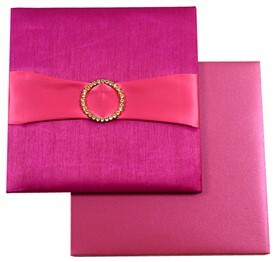 D-6036, Red Color, Shimmery Finish Paper, Ribbon Layered Cards, Designer Multifaith Invitations. 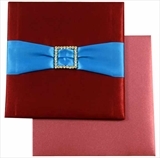 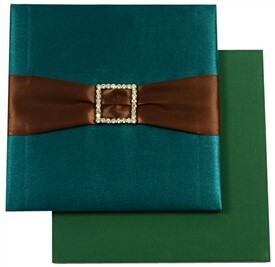 Maroon Satin cloth for thick card. 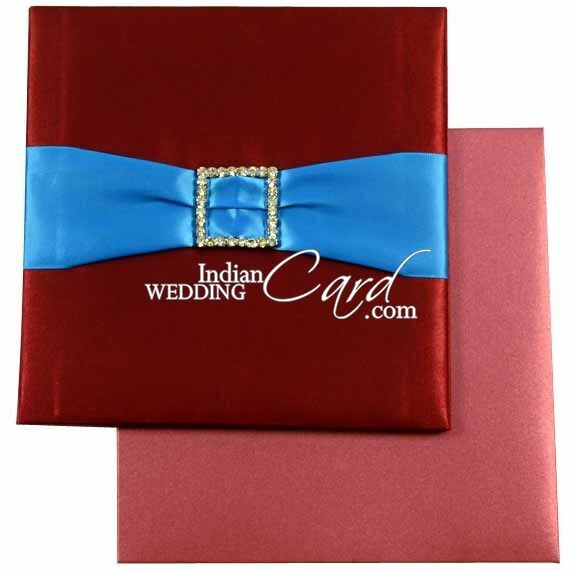 Inside Interleaf and mailing box envelope in maroon shimmer paper (250gsm). 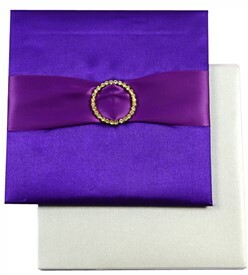 Front of card has Broach attached to thick satin ribbon band. 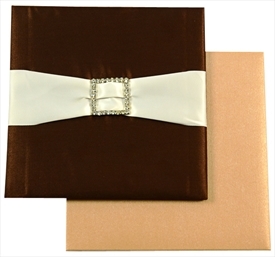 Silk Screen Printing in Gold/Silver color.